The REDMAG SSD 64GB is a 1.8" solid state memory card that is compatible with EPIC and SCARLET cameras that are using a DSMC 1.8” SSD Side Module. Please note that all of our current RED inventory accepts the newer RED MINI-MAG SSDs, and not this older type of REDMAG SSD. This rental also does not come with a RED STATION REDMAG. Please use the reader that comes with your RED system. This REDMAG SSD is also compatible with DSMC 1.8" SSD Rear Modules. Note that your DSMC must be on firmware v5.1.44 for later for optimal performance. 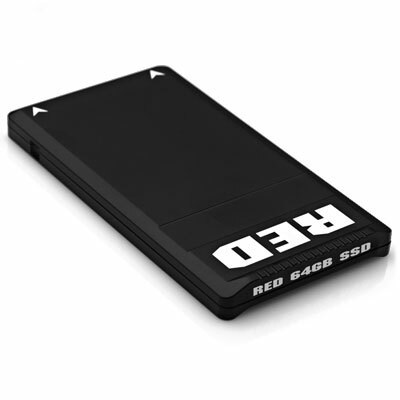 • The REDMAG SSDs are not interchangeable with newer RED MINI-MAG SSDs. • Not compatible with the RED Scarlet 6K Dragon Sensor Camera, the RED Scarlet 6K Dragon Sensor Studio Package, the RED Epic-M Dragon. or the RED Weapon 6K Dragon Sensor Camera. Those all take the newer RED MINI-MAG SSDs because they are equipped with the RED MINI-MAG Side SSD Module. • These REDMAG SSDs are compatible with EPIC and SCARLET cameras that are using a DSMC 1.8” SSD Side Module. If you are using your own RED, please double check compatibility. • This rental does not come with a RED STATION REDMAG.